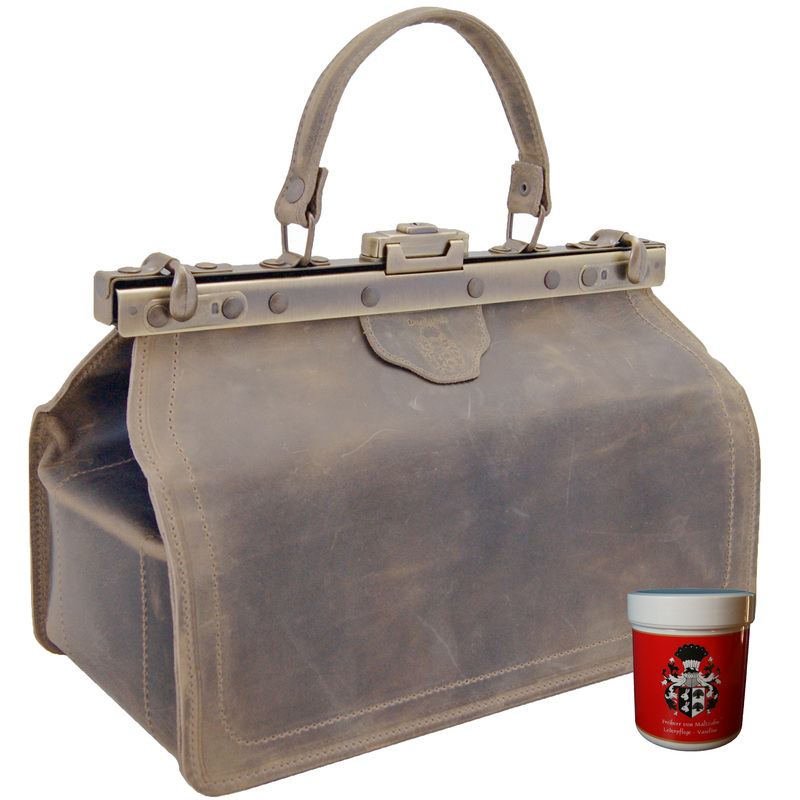 Product information "Women's doctor's bag RAFFAELLO of brown leather"
Catch all glances thanks to the fantastic women’s doctor’s bag RAFFAELLO of brown leather! Discover the noble creations of the designer BARON of MALTZAHN from Leppersdorf! This wonderful leather bag is an absolute eye-catcher. The unadulterated, natural brown leather used, makes of each bag a truly unique piece. The old-looking U-lock keeps the antique style of the bag alive and prompts the doctor’s bags of earlier times – a perfect accessory with proper style that will make you feel as in the elegant past time. The fantastic shopping leather bag RAFFAELLO has two practical inner compartments and an extra mobile phone pocket specially for you. 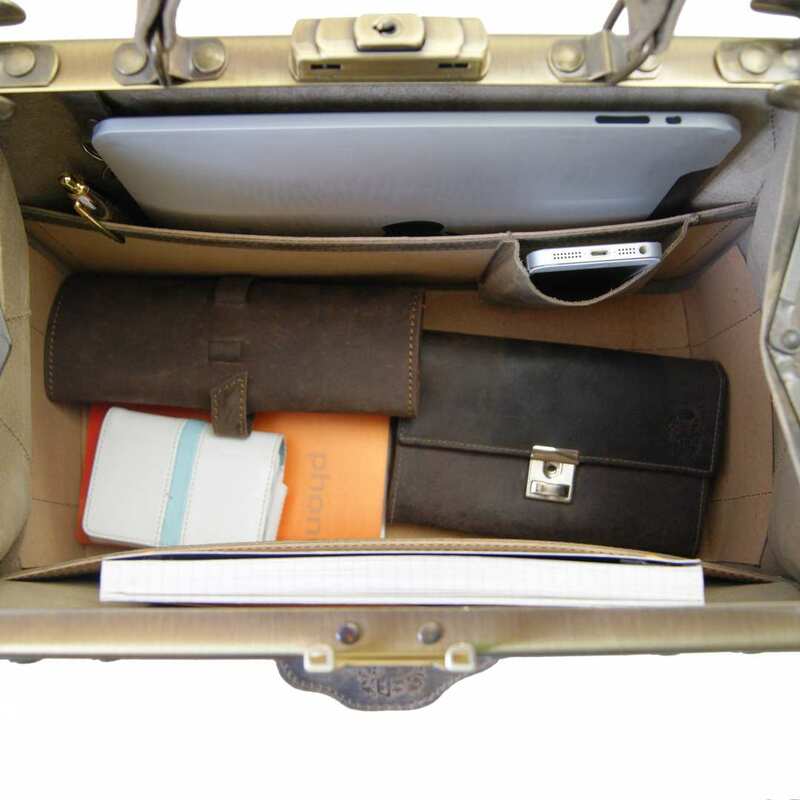 Its size of 14.6 x 9.4 x x7.5 in (37x24x19 cm) is perfect for certain items such as an iPad, for example. 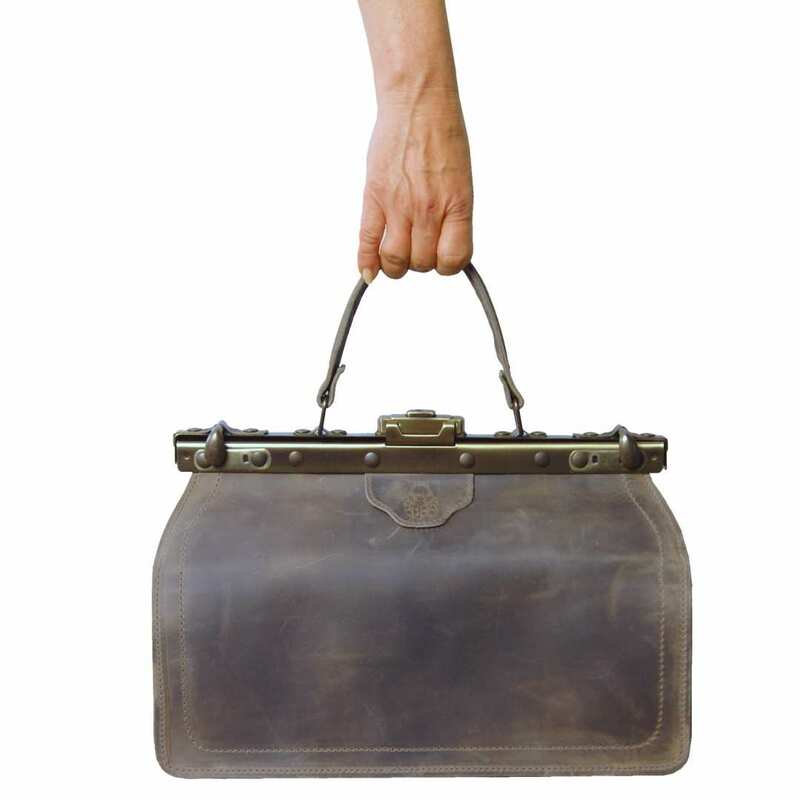 Thanks to the long handle, you can carry the bag comfortably in the crook of the arm or just by hand, as you prefer. The closing U-lock also makes the bag really pleasant and nice to watch. 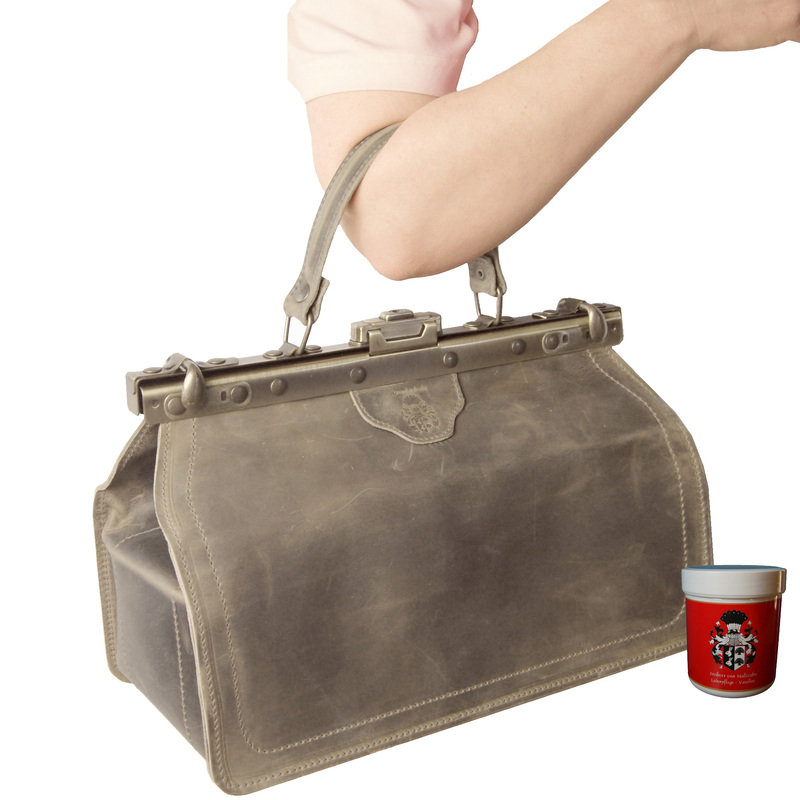 The ladies’ shopping bag RAFFAELLO consists completely of organic leather. It has been lovingly handcrafted in a small town in Germany and is therefore an inimitable accessory. In order to keep your RAFFAEELLO as nice as it was on the first day, we recommend you to rub a bit of leather Vaseline on the surface from time to time. 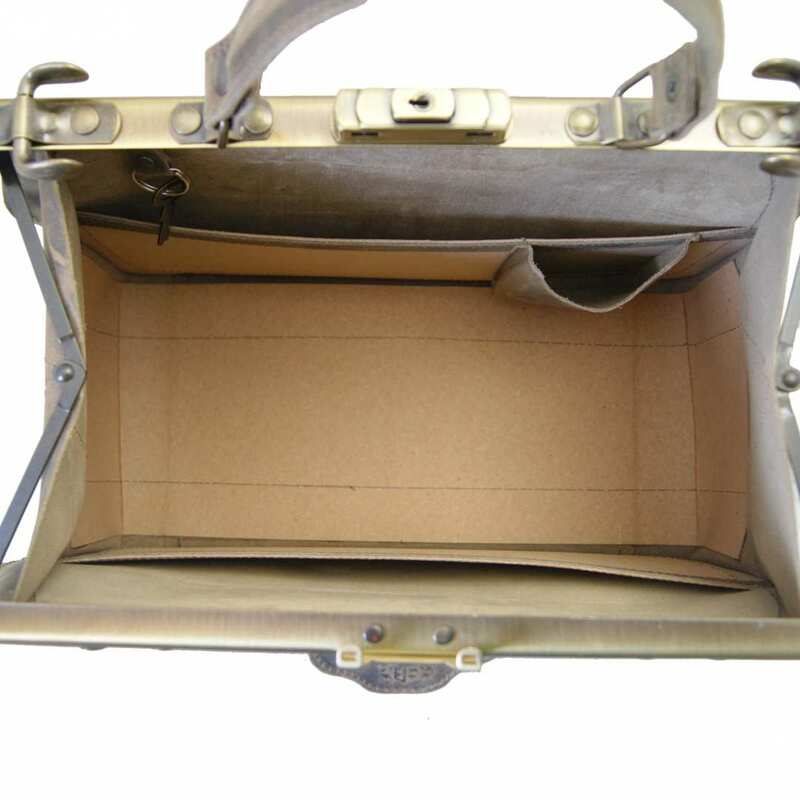 The ladies’ shopping bags' Collection BARON of MALTZAHN is manufactured in Germany. By knowing this, you can rely on the quality of this product without a doubt! Why wait any longer? 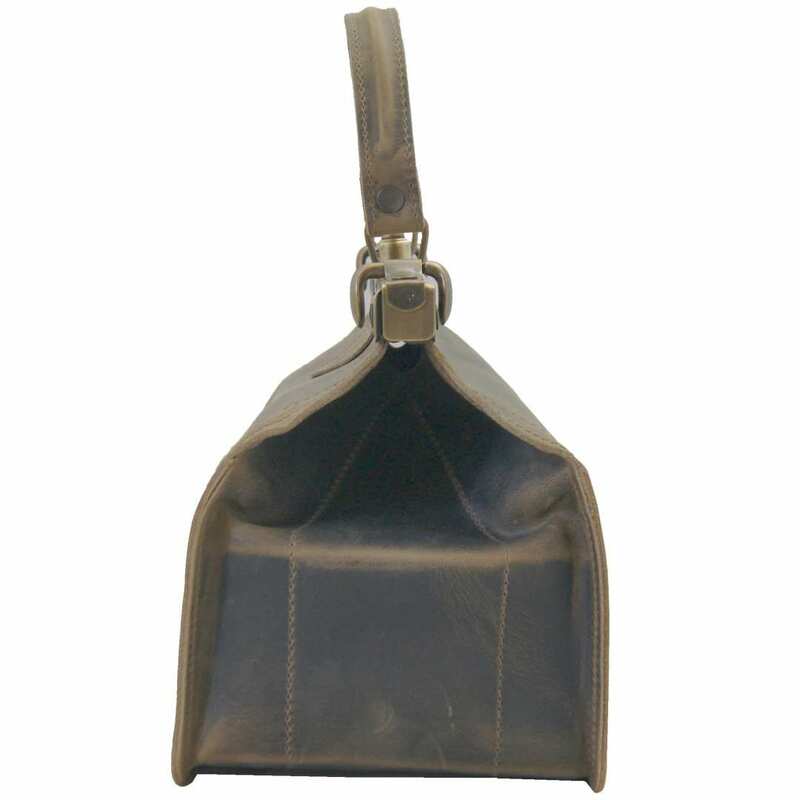 Order now the fantastic women’s doctor’s bag RAFFAELLO of brown leather and enjoy functionality paired with style! Reviews for "Women's doctor's bag RAFFAELLO of brown leather"